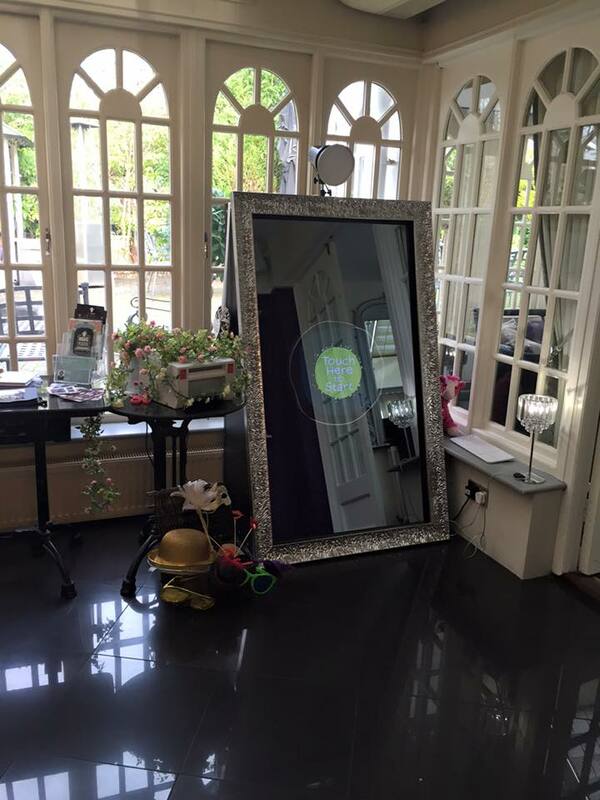 Using a two way mirror the guests can see their reflection like in a normal mirror, the mirror will then spark to life with animations displayed on-screen inviting the guest to ‘touch the mirror’. 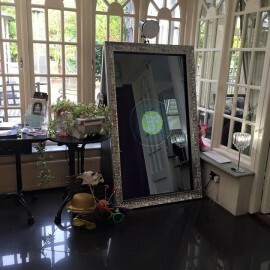 Once the guests activate the mirror it will then display customised messages and a count down before taking 1 to 4 photos. 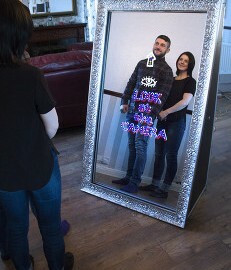 After the photos are taken the mirror then displays a message asking the guest to sign or add their name to their photos, these images can then be printed and shared to social media. 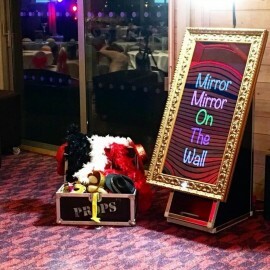 The Mirror Photo photo-booth captures full length shots from head to toe fit as many people in the picture as possible for group shots. Choose to have one full length portrait 6×4″ print or have multiple portraits on one print. After taking your single or multiple photos, you can scribble or write a message or even sign your name using the touch screen paint brush, or add a variety of stamps. 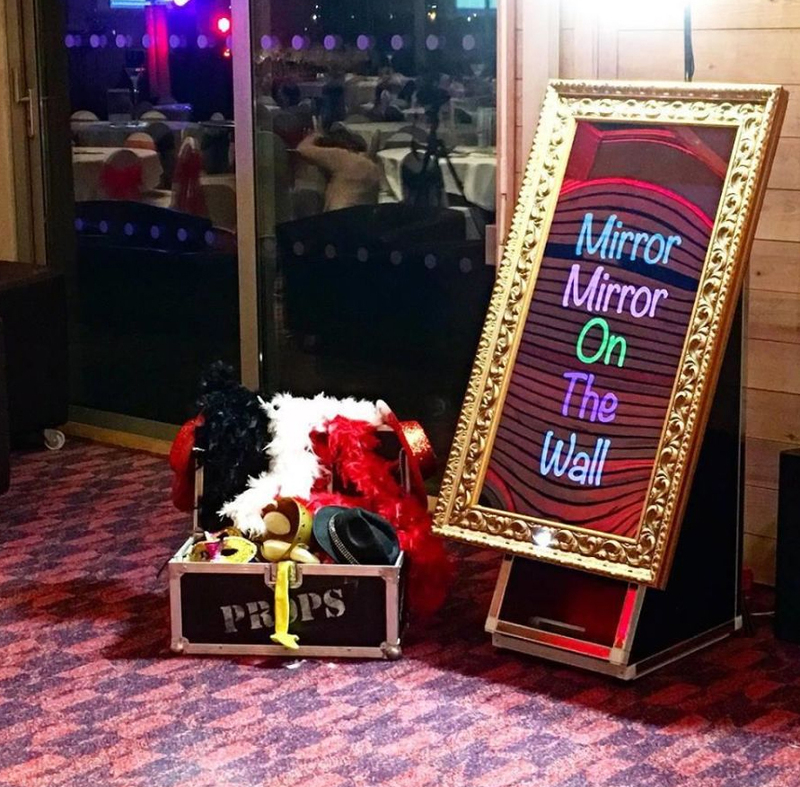 Before your event, we can customise your photos to include a template of your choice, a message of your choice, and add a logo to your images too. 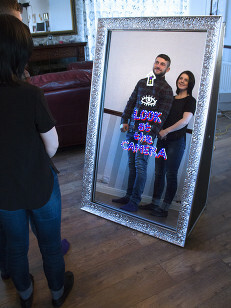 Portrait photos allowing full body images.